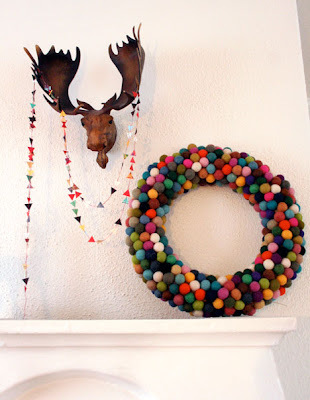 As I am thinking about having a home or at least an apartment in the near future I have begun thinking of all these cool things to make and do to add creativity and color. So in my blog surfing I have found a couple blogs that I am crazy about and debating about making. The first is this very colorful one that seems to be something that would take a lot of time, but very much worth it. 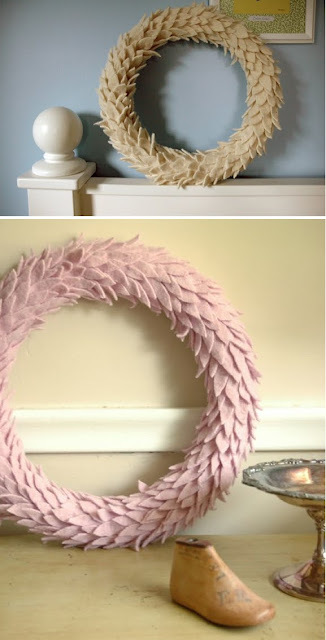 The other is this felt leaf wreath that is wonderfully done in pink and white. 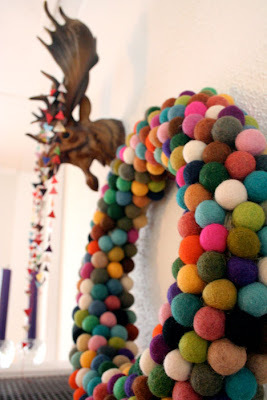 I love this one just as much and see this as a little more possible since I wouldn’t have to make all the felted balls, which can be slightly time consuming. ps. Will be trying to update the look of The Fresh Exchange today see if that happens. Goal is the end of the week.